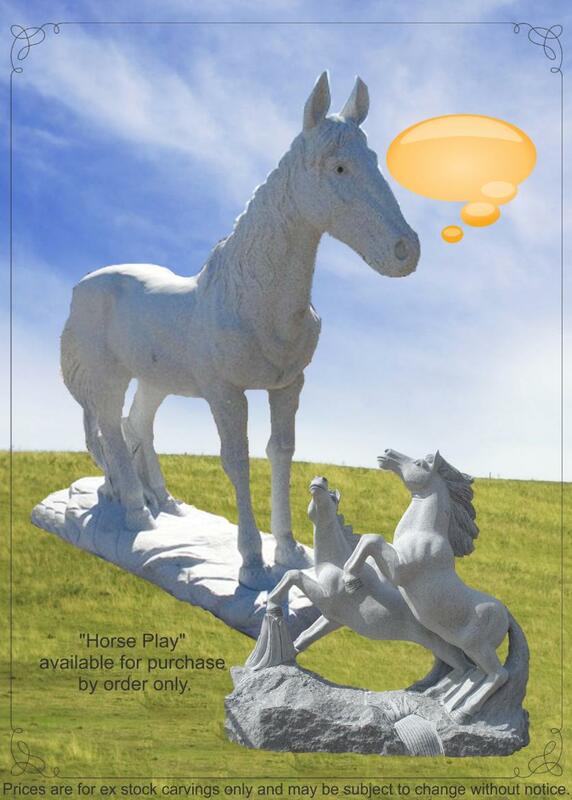 Granite Horses and Cattle available from J.H. Wagner & Sons. 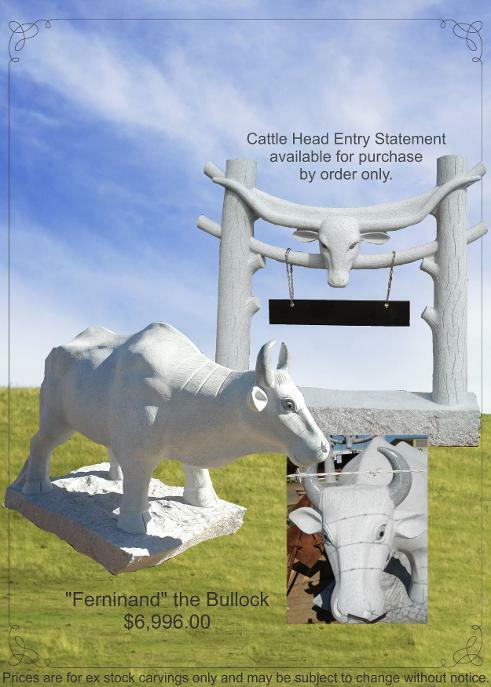 Used for a rural property landscape piece, a striking entry statement or maybe just as a favourite sculpture piece the selection of a fully carved granite Horse, Bullock or Cattle Head name sign will identify your property and make it memorable for visitors and those just passing by.